This is the last of my postings on my October shopping binge. 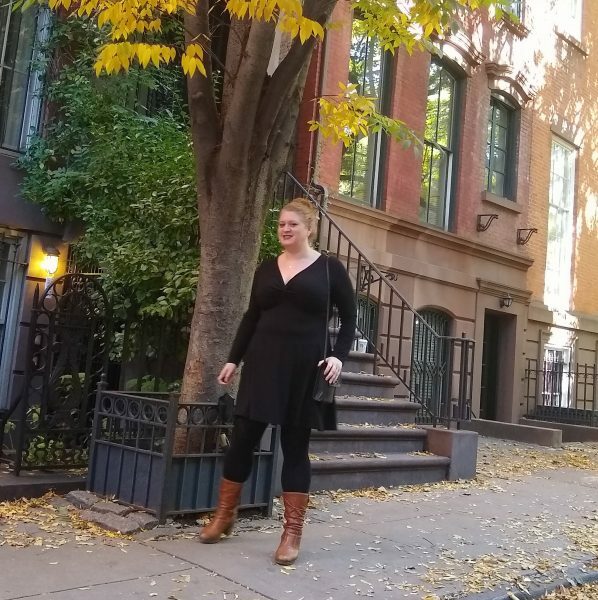 This black Bravissimo dress arrived in the mail about 2 weeks ago from the UK and I am reaching for it constantly! And not a surprise given my last few postings – this dress came from eBay. I purchased it new without tags from the seller Colourfashion. This seller seems to be a liquidator for Bravissimo, they actually have a ton of new stuff in multiple sizes that went on sale this week! This dress is still available in many sizes if I inspire any of you to buy it also. I’m 5’7 and this dress is a good length on me. I did throw it in the dryer and it shrunk a bit, so don’t do that unless you want it to be smaller. I didn’t really need a new black dress when I bought this but it definitely has become a favorite dress fast. And I love the long sleeves. 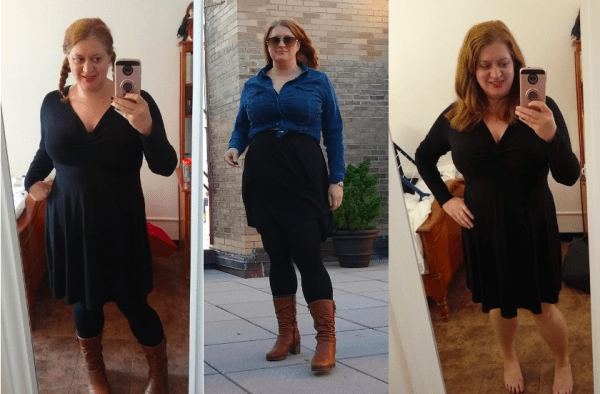 Do you have a favorite everyday black dress? « GG Musings: Major Dress Haul from eBay! The seller Colourfashion reached out to me after I posted my eBay feedback to let me know that if possible they will combine shipping. Definitely something to consider since this seller is selling so much new without tags Bravissimo clothing.